Severus Snape went from a character we loved to hate to a character we just loved. 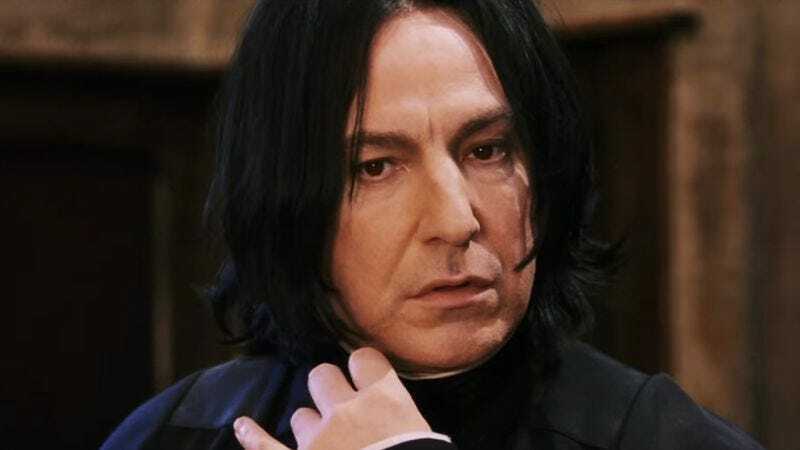 His story is the Harry Potter series’ true tragedy, and his death retroactively becomes one of most devastating after Harry learns of Snape’s unrequited love for Lily and his true motivations for coming back from the Dark Side. It’d be really cool if he were still alive, and one optimistic fan theory posits how he could be. Posting in the Harry Potter subreddit, Redditor Der_Gottkaiser outlines an alternative world where Snape survived Nagini’s assault because, by virtue of being Hogwarts’ long-running potions master, he would have had an antidote to the snake’s venom with him. That’s the most compelling part of the theory, as Snape was smart enough to know that Voldemort could turn on him or figure out his true loyalties any time. But he wouldn’t have necessarily guessed that Voldemort would choose to send Nagini his way instead of using the more obvious, but less dramatic, Avada Kedavra. Der_Gottkaiser also questions why Snape’s form wouldn’t have been summoned when Harry uses the Resurrection Stone in the Forbidden Forest, and why Snape’s body isn’t mentioned in the final tally of the dead after the battle at Hogwarts. It’s pretty obvious that Snape wasn’t close enough to Harry to be summoned with the Resurrection Stone (though one does wonder why Dumbledore didn’t show up), and that the tally of the dead was only for the good side, and Harry was a little too exhausted after defeating Voldemort to rectify Snape’s honor right after the battle. And anyway, Harry sees that Snape is dead right after he dies, and his death is confirmed in Harry Potter And The Cursed Child. It would be awesome if this complex character could have survived, but that’s just not how J.K. Rowling rolls.